There are several different BJJ Gi’s and hundreds of companies making them these days. And each Brand seems to offer you something new or different as well. The main types of Gi’s you will find on the market are Gold Weave, Pearl Weave, Lightweight or Ultra Lightweight and Competition. Gold Weave is just a heavyweight Gi. 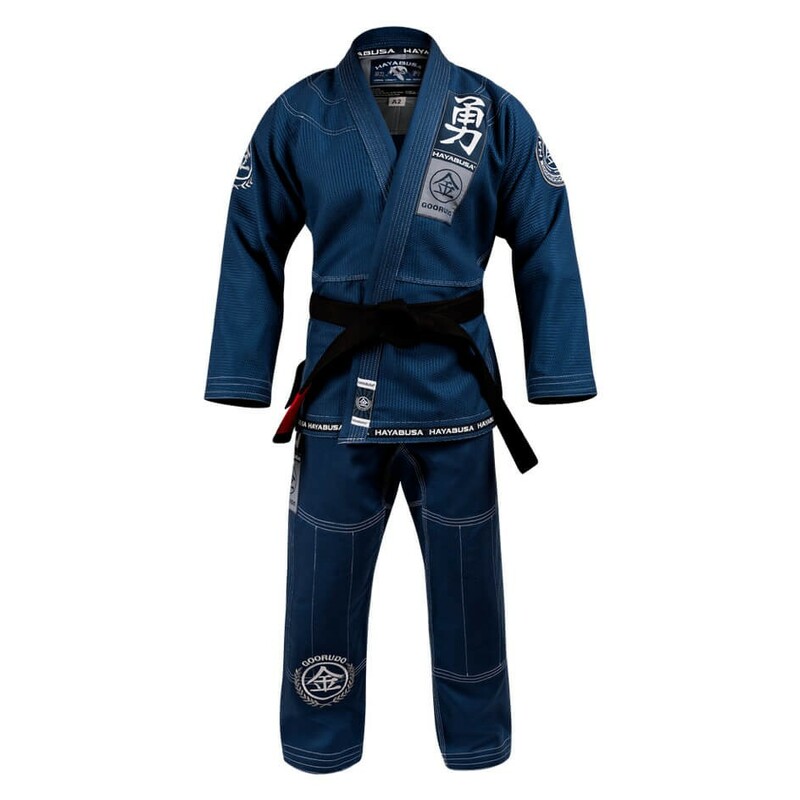 It is made from the thickest materials and will be the heaviest Gi you can buy. The benefits of a thicker, heavier Gi are that it becomes harder for people to grab you. Mainly the insides of your wrists and your lapel. This can stop people from controlling you or choking you. Here is the Hayabusa Goorudo 3 Gold Weave Jiu Jitsu Gi, its made with 550-gsm gold spec-weave material, which basically means its stitching is very thick and heavy. The Pearl Weave is a slightly lighter option than the Gold Weave. The main difference is that this Gi allows a better freedom of movement over the Gold Weave. It’s also lighter which means you can move faster. Hayabusa’s Shinju 3 Pearl Weave Jiu Jitsu Gi is made from 500-gsm pearl weave material so you can see the stitching is lighter than the Gold Weave. You can see the Shinju Gi below. The Lightweight Option will be the lightest Gi you can get your hands on. Some companies will refer to this as Ultra Lightweight but they are both the same thing. The Hayabusa Lightweight Jiu Jitsu Gi is Ultra Lightweight for Ease of Movement and Constructed with a 420-gsm Pearl Weave Cotton so it is significantly lighter than both the Gold and Pearl. 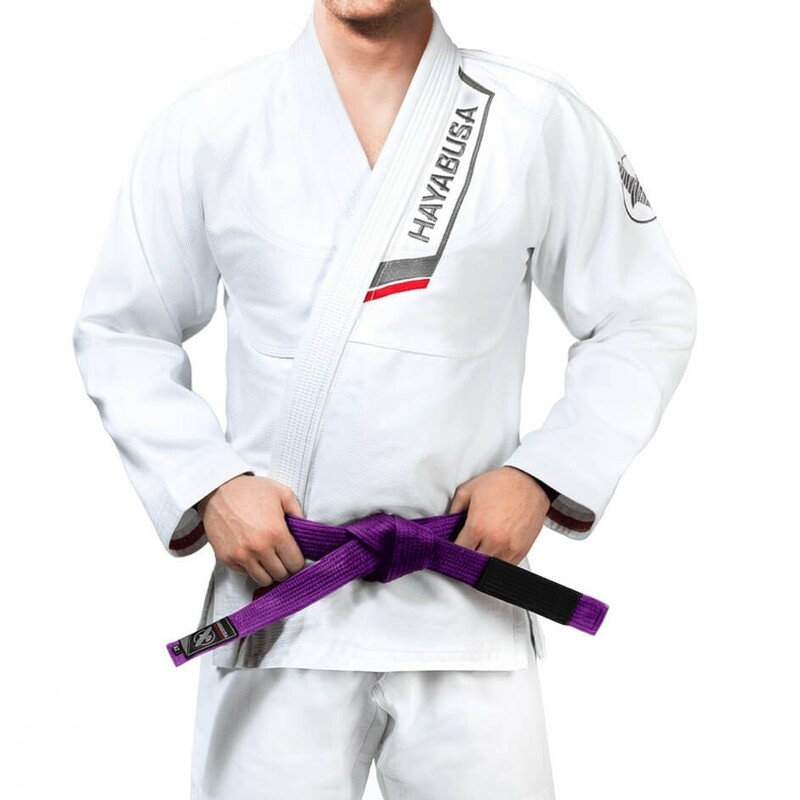 If you want to find out more about the new Hayabusa Lightweight Gi then click here. And finally a competition Gi gives you the thickness of a Gold Weave Gi to make it harder for your opponent to grab you and the lightness of a Lightweight Gi so you can weight in without being worried about your weight. The Hayabusa Pro Lightweight Gi is constructed with a 350-gsm pearl weave cotton. This means it weighs about the same as the Lightweight Gi but has the Thickness of the Pear Weave. The ultimate Competition Gi. It is good to have several different types of BJJ Gis as it provides variety. It gives people the ability to pick the perfect Gi for themselves and there training. If someone was to be able to move as fast as possible they will need a Lightweight Gi as they are designed for ease of movement. Others may not have the agility to move around the mats fast and instead prefer to go on their backs and a heavyweight may be better for them as its harder for people to grab and control you. Hopefully, this article has taught you something new and helped you understand more about different BJJ Gi’s. 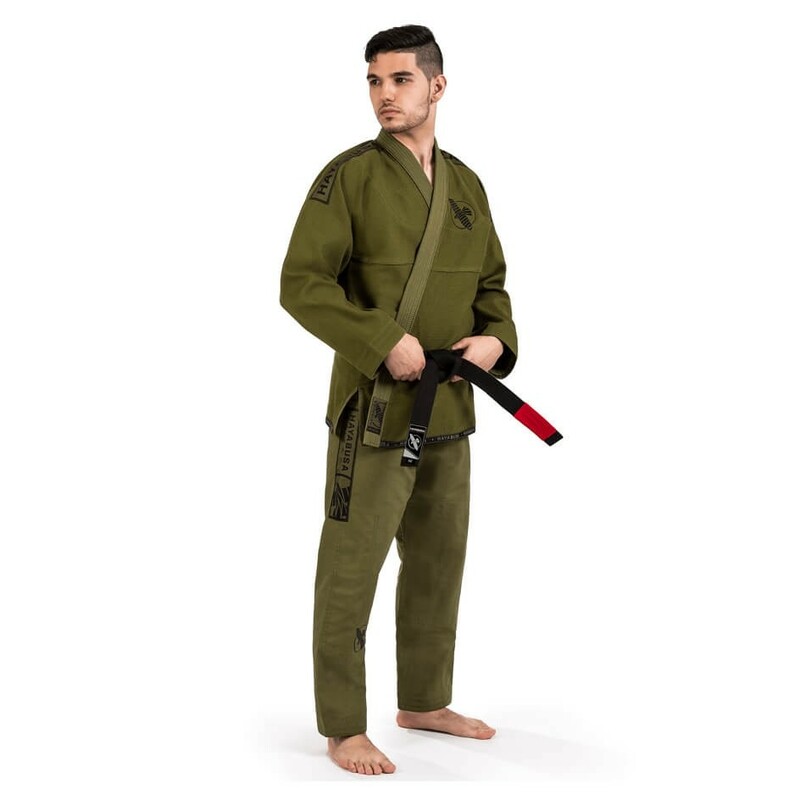 If you like the look of any of the Gi’s you have seen here or want to find out more about them, then click here.